Answer: All of our coaches have served as successful high ranking executives with leading companies, earned top coaching certifications, and have years of successful coaching engagements under their belt. Also, our coaches are certified and trained to deliver a wider variety of business and physiological assessments than any other coaching firm. We’re not “one-size-fits-all.” We believe our “boutique” approach offers the most responsive way to deliver the highest-quality, personalized service to our clients. (We’re smaller and more nimble than the big guys, yet able to provide a full range of services that often cannot be delivered by coaches in a solo practice.) We take care of our clients. Confidentiality is the hallmark of our coaching. sounding board as you begin to stretch into new opportunities or new directions. built my own highly successful business. Completed post-doctoral training through three (not just one) national coach training programs: The Coaches Training Institute, Coach U, and Corporate Coach University International. She is also certified to offer The Coach Clinic®. 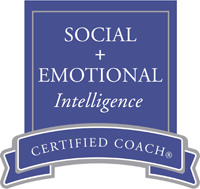 Master Certified Coach (MCC), International Coach Federation, the highest level of credential in the coaching profession. President and Board of Directors, Denver Coach Federation, also membership committee and program committee.